Professor Galvin joined the University of Newcastle in 1993. Previously he spent 10 years with BHP Research (1980-1987; 1990-1993), and 3 years at Imperial College on a Commonwealth Scholarship where he did his PhD under the supervision of Professor Brian Briscoe. 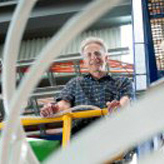 His primary research interests are in the phenomena of bubbles, drops and particles in the context of process systems. 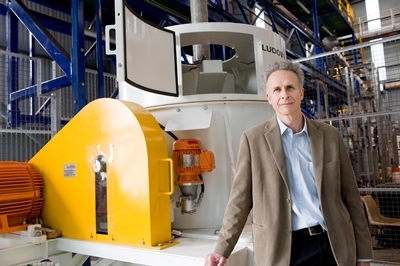 He invented a new separator termed the Reflux Classifier, developing the technology through an R&D Agreement with Ludowici Australia. Following a research breakthrough in 2008 the technology was re-designed in 2009 to promote the effects of a laminar shear mechanism, leading to rapid acceptance and up-take by industry. The technology attracted a number of national awards and led to exports and over 100 installations in more than ten countries. I have built an active research group covering the generic theme of "bubbles, drops, and particles in process systems". My interest has been in the areas of surface chemistry, and the suspension mechanics of bubbles, drops, and particles. The bulk of this research has been directly relevant to mineral processing and more generally particle technology. I have a strong international reputation for my research in the area of mineral processing. I have worked extensively on interfacial problems concerned with surfactant adsorption onto bubbles in ion flotation and drops in emulsification. I have also worked on problems concerned with the nucleation of bubbles, drops, and solid particles, as well as problems concerned with their growth and coalescence. I have studied mass transfer, especially the molecular diffusion of molecules to growing bubbles, and the transport of gas molecules through interfaces containing adsorbed surfactants. Applied research in this area has led to the development of a new method for producing emulsion explosives. My major research activity, however, has focused on the problem of separating particles on the basis of size and density in fluidized beds, and on the motion of particles near inclined surfaces. Fundamental studies, relevant to the emerging field of micro-fluidics were concerned with the role of surface roughness in these interactions, with a new understanding of how such phenomena might contribute to remarkably high levels of hydrodynamic diffusion. Other significant advances have been made in understanding dispersion in fluidized beds. The work on fluidized beds and inclined sedimentation has culminated in the development of the Reflux Classifier, a high throughput fluidized bed technology that has since been adopted by industry in many countries. Fundamental studies of this system have focused on the separation and transport of the particles through the inclined channels, with investigations of the particle lift force and other mechanisms of particle resuspension. In more recent years my group has developed a novel technology that has the potential to change the way fine hydrophobic particles are recovered in industry. We have developed a novel binder that is effective in selectively agglomerating particles from less than a micron to several hundred microns within a few seconds, and arguably just a fraction of a second. The novel binder reduces the oil consumption of traditional agglomeration by more than an order of magnitude, via the establishment of very thin films of order 100 nm. © Woodhead Publishing Limited, 2013. All rights reserved. Methods for cleaning coal particles greater than 1.0. mm in size are discussed. Water-based technologies include jigs, dense (heavy) medium baths and cyclones, fluidised beds and Reflux Classifiers (RC). Dry-based methods include air jigs, air-fluidised beds and tables and optical/X-ray sorting. Likely future trends in plant design are discussed. Continued improvement in dry-based methods may see them being used more often as a preliminary de-stoning step for coarse particles. Improved water-based technologies will enable an increase in the upper size of the fine coal circuit, from 1. mm up to say 4. mm, which should significantly increase plant capacity. © 2017 American Chemical Society. A novel hydrophobic binder consisting of tightly packed drops of aqueous salt solution, stabilized by thin films of oil, in the form of a high-internal-phase water-in-oil emulsion was used to agglomerate ultrafine hydrophobic particles in seconds to a size sufficient for their capture on a 150-µm screen. Almost complete recovery of the particles, extending from sizes of more than 100 µm to less than 500 nm, was achieved. Examination of the process revealed that the agglomeration appears to be governed primarily by the length scale of the thin oil films, on the order of 30 nm, and their ability to quickly and efficiently deliver organic liquid to the particles. Moreover, it appears that the hydrodynamic resistance that develops when a particle is driven toward an interface is reduced because of the permeability of the films. Water permeation driven by osmosis also appears to assist the transport of the particles toward the interface. (Figure Presented). © 2016 Published by Elsevier Ltd. The REFLUX¿ Classifier is a gravity separation device that consists of a system of inclined channels located above a fluidized bed. Here we report for the first time the results obtained processing a minerals sands feed using narrow 6 mm channels that promote a laminar-shear separation mechanism that enhances the separation based on density. The feed had a head grade of approximately 5 wt% heavy minerals of density greater than 2800 kg/m3, with the majority in the size range from 50 to 150 µm. The overall recovery of the heavy minerals component was approximately constant at 85% for solids throughputs of 10-18.5 t/(m2 h). The unrecovered heavy mineral had an average density close to that of the gangue, hence was deemed unrecoverable by gravity separation. The recovery of the denser and more liberated zirconium mineral exceeded 95%. So this work demonstrated the potential for the heavy mineral to be upgraded by a factor of 16 or more in a single stage operation. © 2016 Elsevier Ltd Low pulp density and low grade slurries in the coal and minerals industries are discharged as waste to tailings dams, incurring significant losses of valuable particles. This paper investigates the rapid processing and cleaning of hydrocyclone overflow coal slurry using two laboratory scale Reflux Flotation Cells in series as a means to economically beneficiate low quality tailings streams. The Reflux Flotation Cell incorporates a novel arrangement of inclined channels to enhance bubble-liquid segregation, enabling extremely high gas rates and liquid rates per unit of vessel area. Hence, in the first stage, fast flotation is employed to rapidly recover fine coal particles using a feed flux of 11.4¿±¿0.5¿cm/s, up to an order of magnitude increase in the throughput rate over conventional flotation systems. First stage product was then sent to a second stage for counter-current washing using fluidisation wash water to produce a fully deslimed product, having ash percent in agreement with the minimum ash attainable using flotation as determined through tree flotation analysis. The results demonstrate the potential for two-stage Reflux Flotation to deliver high throughput at a high separation efficiency from low quality slurry, with a fivefold reduction in the required vessel footprint, thus overcoming the principal economic deterrent of having to install banks of large-scale flotation cells. © 2016 The Australasian Institute of Mining and Metallurgy. The REFLUX¿ Classifier is a recently developed water-based gravity separation technology that is already being used worldwide to beneficiate particles above 0.100 mm in size. This paper reports tests performed on an ultra-fine iron ore with nominal top size of 0.106 mm, but with 59 wt-% being below 0.038 mm in size. The REFLUX¿ Classifier consists of a set of parallel inclined channels positioned above a vertical fluidised section. The Boycott effect generates a powerful throughput advantage and using narrow channels gives a high shear rate which generates a hydrodynamic lift force that helps to selectively re-suspend and elutriate the lower-density particles. The iron ore feed had a head grade of 35 wt-% FeT. 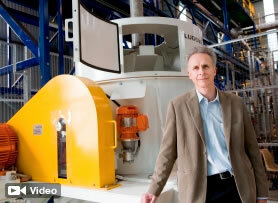 At a low feed solids mass flux of 1.5 t m-2 h-1, the REFLUX¿ Classifier produced high-grade products at a high recovery. Overall a grade of 66.1 wt-% FeT with Fe recovery of 80 wt-% could be achieved in a single-stage separation. Within the 0.020¿0.038 mm size fraction, grades of 68.8 wt-% FeT were achieved with iron recoveries of 94.7 wt-%. Excellent recoveries of up to 57.0 wt-% were achieved even for the -0.020 mm size fraction. Fast particle flotation is accomplished by maximising three fundamental aspects: the kinetics of particle-bubble attachment, the bubble interfacial flux for particle extraction, and the rate of bubble-liquid segregation. In practice, it has been impossible to extend all three aspects simultaneously using conventional flotation devices. Hence, significantly higher processing rates using a single flotation cell has not been possible. Here, the Reflux Flotation Cell has been used in this work to address all three aspects in unison in a single stage of separation. This novel system permits throughput rates well beyond conventional flotation standards. Stable operation using extreme gas and feed fluxes is accomplished using a system of parallel inclined channels located below the vertical portion of the cell. In this paper a highly diluted coal feed comprised of well-liberated coal particles at 0.35. wt% solids, was prepared from hydrocyclone overflow. The volumetric feed flux was increased to nearly 10 times the typical conventional level, achieving an extremely low cell residence time, in the order of 25. s. Very good combustible recoveries were obtained, with the +38. µm portion increasing from 92.3% to 98.5% with increasing gas flux. The partitioning of particles below 38. µm decreased with decreasing particle size until separation became governed by hydraulic entrainment, clearly evident at a particle diameter of ~1.65. µm. © 2014 The Society of Powder Technology Japan. Published by Elsevier B.V. and The Society of Powder Technology Japan. All rights reserved. This paper is concerned with the separation of cenosphere particles from fly ash. Cenospheres are hollow alumina silicate micro-shells found in fly ash. They are positively buoyant in water, thus allowing gravity-separation to be used to achieve separation from negatively buoyant fly ash particles. In this study an Inverted Reflux Classifier, a combination of parallel inclined channels and a vertical fluidized bed, was used for the first time to recover and concentrate cenospheres from a real fly ash feed obtained from a coal fired power station. The effects of different operating parameters such as the feed rate, product rate, and fluidization rate were investigated. The device was fed at a solids flux of about 2600 kg/(m2 h). A product grade of 76% was achieved from a feed with a grade of only 0.51%, corresponding to an upgrade of 149. Here, the recovery of the cenospheres was 42%. By increasing the overflow product rate, a significantly higher recovery of 64% was achieved, but at a reduced upgrade of 33. In both cases most of the losses were attributed to the relatively fine cenosphere particles being entrained to the underflow. © 2015 Elsevier Ltd. Abstract The enhanced separation of valuable positively buoyant cenosphere particles from negatively buoyant fly ash particles using an Inverted Reflux Classifier (IRC) was examined. The effect of the suspension density on the recovery and concentration was examined in the IRC by operating at different feed pulp densities ranging from 10 wt% to 46 wt%. Using a sufficiently high fly ash concentration, it was hypothesised that a powerful bulk streaming phenomenon develops (Batchelor and Van Rensburg, 1986) within the inclined channels, driving the segregation between the positively and negatively buoyant species. With the feed flow rate, fluidization rate, and flow split to overflow and underflow fixed, the recovery of the cenospheres increased from 61.7% (at 10.1% solids) through to an optimum recovery of 89.9% (at 38.1% solids), before declining rapidly to a recovery of 60.2% (at 46.4% solids). The performance at the optimum of 38.1% pulp density was remarkable, with 3.1 t/(m<sup>2</sup> h) solids throughput, a single-stage cenosphere recovery of 89.9% and upgrade of 58.6, and throughput advantage over a conventional fluidized bed of 54. Detailed analysis indicated that the inclined channels produced an underlying throughput advantage of 18, with a further factor of 3 attributed to the bulk streaming phenomenon. The separations were also assessed in terms of the partitioning of the cenospheres between the overflow and underflow exit streams, with the sharpest size classification evident at the optimum feed pulp density, with the d<inf>25</inf> = 31.5 µm, d<inf>50</inf> = 36.5 µm, and d<inf>75</inf> = 50.0 µm. The separation was then investigated using different feed flow rates, providing the basis needed for ensuring optimum performance in future pilot scale investigation of this novel technology. © 2015 Elsevier Ltd. All rights reserved. Cenospheres are hollow spherical particles formed as part of the fly ash waste of coal-fired power stations. In a previous paper Kiani et al. (2015) investigated the recovery and the concentration of these particles using an Inverted Reflux Classifier (IRC) at a laboratory scale, of cross-section 0.100 m × 0.086 m, achieving a throughput advantage over a conventional fluidized bed by a factor of 54. The present paper investigated the potential to achieve scale-up, utilizing a pilot scale device with cross-section 0.3 m × 0.3 m. The product grade and recovery were examined as a function of the solids yield by varying the product volumetric rate relative to the feed volumetric rate. The performance data were compared directly with those obtained at the smaller laboratory scale. Agreement was excellent. The performance was also examined as a function of the feed slurry flux, with good agreement again evident at the laboratory and pilot scales. Overall, the separation performance was excellent, with a cenosphere recovery of about 80% achievable at a high upgrade of 19 while a recovery of 75% was achieved at an upgrade of 38. Here the feed solids flux was 4.2 t/(m<sup>2</sup> h). It is noted that much higher upgrade was achieved at a recovery of about 80% in the former study by operating at a lower solids feed flux. This paper provides the necessary basis for proceeding with a full scale implementation of this technology. © 2015 Elsevier Ltd. All rights reserved. Traditional sink-float methods for measuring the density distribution of particulate samples rely on expensive and toxic heavy liquids. An alternative method has been developed which uses aqueous glycerol solutions in a laboratory-scale Reflux Classifier run in semi-batch mode. The high viscosity of these solutions promotes laminar high-shear flow in the channels which suppresses the effect of particle size on separation performance. Thus this technique was able to accurately measure the yield-ash curve of coal samples, and from this their density distribution could be inferred. Applying this approach to feed, product and reject samples enabled calculation of the density partition separation performance. Samples were collected from two case studies: a laboratory-scale continuous Reflux Classifier and a single spiral start from a full-scale coal handling and preparation plant. In both cases the partition curve measured by the new method was within experimental uncertainty of the partition curve measured by the standard sink-float method. A novel flotation system was used to process fine coal feeds supplied from coal preparation plants. The system consisted of an inverted fluidized bed arranged above a system of inclined channels. High fluidization (wash water) fluxes were imposed through a distributor enclosing the free-surface, producing strong positive bias of up to 2.4 cm/s, ideal for desliming. High gas fluxes of up to 2.6 cm/s, in excess of the flooding condition, were also imposed. The presence of the inclined channels prevented the entrainment of gas bubbles into the tailings stream. This paper, which is the third in a series, examines, for the first time, the hydrodynamic performance of this system on two actual plant feeds, each known to be difficult to wash. The first feed was a poorly liberated coal with particle size <260 µm and 69% feed ash. The second was a well liberated coal with nominal size <125 µm and 83% less than 38 µm. The product ash was shown to decrease significantly with an increasing fluidization flux to gas flux ratio. The single stage flotation system demonstrated a performance capable of matching the Tree Flotation Curve with some cases in fact surpassing this result. © 2014 Elsevier Ltd. All rights reserved. This is the first of a series of publications concerned with a novel system that transforms the hydrodynamics of flotation. This system, referred to as a Reflux Flotation Cell, consists of a vertical flotation zone, with a system of parallel inclined channels below. The system is enclosed at the top by a fluidization distributor, while a central port is used to discharge the overflow product. The inclined channels located below the vertical section enhance the segregation of the bubbles from the tailings flow, permitting separations to be conducted at bubble surface fluxes well beyond the normal flooding condition, while also permitting extreme wash water fluxes. The system hydrodynamics produces spherical bubbly-foam, with a bubble volume fraction of order 0.5, ideal for counter-current washing, and hence desliming.This paper addresses two objectives. The first concerns the fluidization boundary condition at the top of the device. We identify for the first time a conundrum that arises when Drift Flux theory and fluidization theory are used to describe the effect of wash water addition in flotation. A subtle but nevertheless significant change in the predicted bias flux arises when the system is formally fluidized, resulting in the wash water reporting with the overflow, and hence failing to provide the desired desliming. Our experimental work, however, demonstrated that the applied fluidization leads to strong positive bias, with a downwards liquid flux and in turn powerful desliming of hydrophilic particles. Indeed the system behaved as though the wash water was introduced below rather than at the upper boundary.The second, and most important objective was to assess the system hydrodynamics with respect to extreme gas and wash water fluxes using firstly a particle-free system, and secondly assess the desliming achievable using a system containing hydrophilic particles. Thus in Part I the system was free of hydrophobic particles. The enhanced bubble-liquid segregation arising from the system of inclined channels permitted very high gas fluxes, sufficient to achieve a bubble surface flux of 144m 2 /m 2 s, well beyond the theoretical flooding limit of ~100m 2 /m 2 s (Wace et al., 1968). This high bubble surface flux was especially significant given this occurred during the application of extreme bias fluxes, as high as 2.5cm/s passing downwards. Experiments involving a silica feed were used to quantify the performance of the desliming, covering extreme gas and fluidization (wash) water fluxes. Silica rejection from the product exceeded 99%. © 2013 Elsevier Ltd. It is common practice in the coal industry to use heavy organic liquids to fractionate coal samples on the basis of density. However, concerns over worker health and the influence of these liquids on coal carbonisation properties are prompting the search for alternative water-based methods. Previous work has already shown that 0.038-0.25 mm samples can be very effectively separated using pure water in a Reflux Classifier with narrow 1.7 mm channels. Narrow channels give laminar flow with high shear rates which promotes density-based separation. Processing coarser particles requires wider channels and the laminar flow condition is lost, reducing performance. This work tested whether using viscous glycerol solutions to restore the laminar flow condition could improve the separation performance of the laboratory Reflux Classifier for larger particles. For 0.25-2.0 mm coal particles, using 50 wt.% glycerol solution in 6 mm channels, the Reflux Classifier was able to match the float-sink yield-ash curve across the entire yield range. For 2.0-16 mm coal, using 70 wt.% glycerol solution in 24 mm channels, the Reflux Classifier gave results which were at worst only 1.0 wt.% ash units off the float-sink curve. Hence the Reflux Classifier can potentially replace the float-sink method for measuring the washability of small bore core samples and producing clean coal composites. © 2014 Elsevier Ltd. All rights reserved. Cenospheres are hollow, low-density particles found in power station fly ash. They have many commercially-useful properties which make them a valuable by-product. However, recovering cenospheres from fly ash is difficult due to their low concentration and fine size. Experiments were performed to test the novel approach of using an Inverted Reflux Classifier. In this configuration, the particles are fluidised by adding wash water from above which helps to wash any entrained dense material from the overhead product. Inclined channels are mounted at the base to minimise the loss of buoyant cenospheres in the waste underflow stream. Experiments were performed at both laboratory scale (80 mm × 100 mm cross-section) and pilot scale (300 mm × 300 mm cross section) using mixtures of cenospheres and silica, all nominally less than 100 µm in size. In batch tests, the bed expansion behaviour of the positively-buoyant cenospheres in the Inverted Reflux Classifier was found to be analogous to the behaviour of negatively-buoyant particles in the standard configuration. Continuous steady-state experiments were performed using feeds with suspension solids concentration varying from 0.3 to 9.5 wt.% solids and a buoyant cenosphere grade of 0.5 to 65 wt.%, with a range of fluidisation wash water rates, and degree of volume reduction (ratio of volumetric feed to product rate). Both units delivered high recoveries and product grades. An increase in volume reduction (decreasing overflow rate for a given feed rate), caused a drop in recovery and an improvement in grade. The throughput advantage compared to a conventional teetered (fluidised) bed separator was over 30 in some cases. Both laboratory and pilot-scale units displayed similar behaviour and the results were also consistent with existing correlations for negatively-buoyant particles in the standard Reflux Classifier. Hence this technology has clear potential for recovering and concentrating cenospheres from fly ash. © 2014 Elsevier B.V. This is second in a series of papers concerned with the performance of a novel technology, the Reflux Flotation Cell. Part I examined the system hydrodynamics, commencing with a gas-liquid system and examination of the fluidization boundary condition. The desliming, or potential to reject entrained fine gangue particles from the product overflow, was investigated by introducing hydrophilic particles. In Part II, a model feed consisting of hydrophobic coal particles and hydrophilic silica was introduced. The separation of these two components was investigated across an extreme range in the applied gas and wash water fluxes, well beyond the usual limits of conventional flotation.The Reflux Flotation Cell challenges conventional flotation cell design and operation in three ways. Firstly, the upper free-surface of the flotation cell is enclosed by a fluidized bed distributor in order to fluidize the system in a downwards configuration, counter-current to the direction of the rising air bubbles. Secondly, a system of inclined channels is located below the vertical section of the cell, providing a foundation for increasing bubble-liquid segregation rates. Thirdly, the system is operated with a bubbly zone, hence in the absence of a froth zone. This combination of conditions provides for the establishment of a high volume fraction of bubbles in the bubbly zone, of high permeability, ideal for promoting enhanced counter-current washing of the rising bubbles, and hence high quality desliming. The arrangement permitted operation at extreme levels in the value of the fluidization (wash water) flux and the gas flux, with the fluidization flux set at up to 2.1cm/s and the gas flux set at up to 4.7cm/s for a mean bubble size, d, of 1.5mm. These gas and wash water fluxes corresponded to a bubble surface flux of 188m/ms and a positive bias flux of 1.7cm/s. Thus the operating regime was shown to be far broader than that achieved by conventional flotation, thereby confirming the robust nature of the system. The model flotation feed provided a basis for establishing the flotation performance across this vast regime of operation. Full combustible recovery of fine coal and full rejection of mineral matter were achieved, with good agreement with the Tree Flotation curve. At extreme levels of wash water addition it was possible to selectively strip poorer floating coal particles from the bubble surface, and in turn achieve beneficiation results significantly better than those defined by the Tree Flotation method. © 2013 Elsevier Ltd.
Two pilot-scale Reflux Classifiers (600 mm × 600 mm cross-section) arranged in a cascading sequence were used to beneficiate fine -2 mm coal. The first Reflux Classifier performed a density separation that produced a coal product contaminated with fine high-ash slimes. This was then washed in the second Reflux Classifier to remove the fine clays and mineral matter. This combination reliably produced a clean coal product and allowed gravity separation performance to be extended from the usual eight-fold limit of upper to lower size to a much broader size range. Performance was similar to previous laboratory-scale results units with cross-sectional areas of only 100 mm × 80 mm each. Hence, full-scale desliming units can be confidently designed based on laboratory trials. The cut size varied linearly from 0.04 to 0.24 mm with increases in the overflow channel velocity from 25 to 55 m3/(m 2 h). The Ep values increased from 0.02 to 0.07 mm (Whitten factor a from 2 to 6) over the same range. The linear dependence of the cut size on velocity in the Reflux Classifier was consistent with the theory and with the significant throughput advantage of the technology. © 2014 Copyright Taylor & Francis Group, LLC. © 2014 The Society of Powder Technology Japan. Published by Elsevier B.V. and The Society of Powder Technology Japan. All rights reserved. This study is concerned with a common class of problem involving two phase separation of a dispersed gas flow from a continuous liquid flow under extreme processing conditions. Relatively fine spherical bubbles of order 500 µm were generated in the presence of a surfactant under a high shear rate within a rectangular, multi-channeled, cuboidal downcomer. Liquid fluxes, as high as 176 cm/s through each channel of the downcomer, sheared bubbles from a sintered surface mounted flush to the channel wall before disengaging the downcomer flow into a vertical vessel. Both high feed fluxes, up to 15 cm/s, and high gas fluxes, up to 5.5 cm/s, ensured a high gas holdup beneath the downcomer and the hindered rising of the bubbles. Enhanced bubble-liquid segregation was achieved using an arrangement of parallel inclined channels incorporated below the main vertical chamber. This novel device, referred to as the Reflux Flotation Cell, prevented the entrainment of bubbles to the underflow, and significantly reduced the liquid flux to overflow, even in the absence of a conventional froth zone. Extreme upward bubble surface fluxes of up to 600 s-1 were achieved, while counter-current downward liquid fluxes reached 14.4 cm/s, arguably four times the bubble terminal rise velocity. Hence successful phase separation was achieved while operating well beyond the so-called flooding condition arising from extreme levels of gas and feed fluxes. This hydrodynamic arrangement should find application in increasing surfactant extraction rates in foam fractionation and ion flotation, gas absorption, and even particulate flotation. A new experimental procedure for determining the solids flux curve is detailed. The procedure is based on measuring the concentration at various heights of a bed of settled solids formed during a semicontinuous sedimentation test. Unlike conventional thickener area calculations, the test procedure demonstrates the dependence of the flux curve on the system feed flux. At a given feed flux, there was good agreement between the solids flux curve determined by the method and continuous sedimentation results. The widely used method of Kynch was found to be restricted to relatively high effective feed fluxes and consequently there was poor agreement with continuous tests at low feed fluxes. The flux curve determined by the method of Coe and Clevenger was invalid for all feed fluxes. A case study shows how the required thickener area would vary for a number of fine coal processing options. © 1991. A Monte Carlo simulation procedure was used to generate a probability distribution of the solids feed rate to a coal preparation plant thickener. Variations about an average value in the raw coal feed rate, proportion of minus 0, 5 mm material, amount of out of seam dilution. and fine coal yield resulted in a large range of thickener feed loadings. The effect of the distribution of thickener feed loadings on thickener operation was then assessed using experimental data. Such an analysis is helpful in deciding the level of automation or control required for a particular operation. It was shown that thickeners with a small diameter, similar to the so called high rate units, must have automatic control equipment for bed level detection. underflow rate variation and flocculant addition in order to maintain steady operation. For conventional thickeners automatic control was shown to be necessary in some cases. © 1986, Taylor & Francis Group, LLC. All rights reserved. This report describes a quantitative method for calculating overdesign factors for coal preparation plant design. A Monte Carlo technique was used to account for uncertainties in design data and plant operation, and a statistical consideration of possible plant performance enables the selection of an appropriate overdesign factor with respect to the required level of confidence in the design. The uncertain design factors considered were percentage of fines, coarse coal yield, fine coal yield, amount of out-of-seam dilution and availability. In general, the justifiable overdesign factor increased with increasing uncertainty in data and with a greater number of variables in which there was uncertainty. The variability of parameters which had a large impact on overall yield contributed significantly to overdesign factors. From this study the most important variables for determining overdesign factors were uncertainties in coarse coal yield and plant availability with the variability in out-of-seam dilution having a lesser but still important effect. Although aspects of fine coal treatment had little impact on overall overdesign, the design capacity of the fines plant should be considered separately. The required degree of confidence in plant design has a strong influence on the over-design factor, with a steady increase in overdesign factor up to 90% confidence, but a very rapid increase above 90%. © 1984, Taylor & Francis Group, LLC. All rights reserved. © IMPC 2018 - 29th International Mineral Processing Congress. All rights reserved. The REFLUX¿ Classifier (RC¿) consists of a fluidized bed housing, with a system of parallel inclined channels above. This system performs a simultaneous gravity separation and desliming of the feed material, utilising the inclined channels in order to retain the relatively fine dense particles. These particles promote the formation of an autogenous dense medium within the fluidized bed. Relatively large, low density particles are displaced from the fluidized bed and conveyed upwards through the inclined channels reporting to the overflow with other finer particles. Given the hydrodynamic role of both the particle size and density in determining the particle transport through a water based suspension, all gravity separators operate over a limited size range. In the case of the REFLUX¿ Classifier, efficient separations can be produced across a very broad size range, from nearly 10 mm down to 10 m, however, for a given application the size range is much more limited. This study was concerned with the processing of dense minerals over a broad size range, and the need for multistage processing. Here the overflow from the first stage cascades to the second stage, incorporating coarse gangue rejection. This approach is shown to deliver remarkably high grades and recovery. © IMPC 2018 - 29th International Mineral Processing Congress. All rights reserved. A fine coal tailings feed was selectively agglomerated using a concentrated water in oil emulsion binder consisting of 95% aqueous phase and 5% organic phase. The purpose of the study was to investigate a continuous system in plug flow, providing a rapid beneficiation technique with high selectivity and recovery. The development of the novel binder was undertaken in previous work in a batch system consisting of a high-speed blender. In this previous work, it was found that agglomeration could be achieved in 3 s, providing the binder was pre-dispersed. Furthermore, it was found that, depending on the feed, only ~1 wt% of oil was required to achieve agglomeration, some 10 times less than required in traditional oil agglomeration. In a more recent study, the technique was adapted into a continuous process. Due to the rapid speed of the process using the emulsion binder it was found that a simple flow constriction within a 1 inch pipe was sufficient to achieve the selective agglomeration observed in the batch system. In this previous study, a coal feed consisting of a flotation product was agglomerated at a superficial slurry velocity of 1.3 m/s using a partially closed ball valve as the flow constriction. In the current study, a feed consisting of fine coal tailings with an ash content of 50.1% was used to establish the influence of superficial slurry velocity on the agglomeration process. The superficial slurry velocity was varied between 1.3- 4.2 m/s, while maintaining a constant pressure drop of 100 kPa across the flow constriction. The flow constriction consisted of a partially closed ball valve. It was found that increasing the superficial slurry velocity across the flow constriction reduced the amount of organic liquid required to achieve agglomeration. Under the optimum conditions, a combustible recovery of 80.4% was achieved at a product ash content of 9.6%. This work demonstrates a valuable product can be rapidly produced from tailings material using the novel emulsion binder. © 2016 TAPPI Press. All rights reserved. Sink-float analysis is often used to obtain yield-ash and density partition curves in the coal industry. 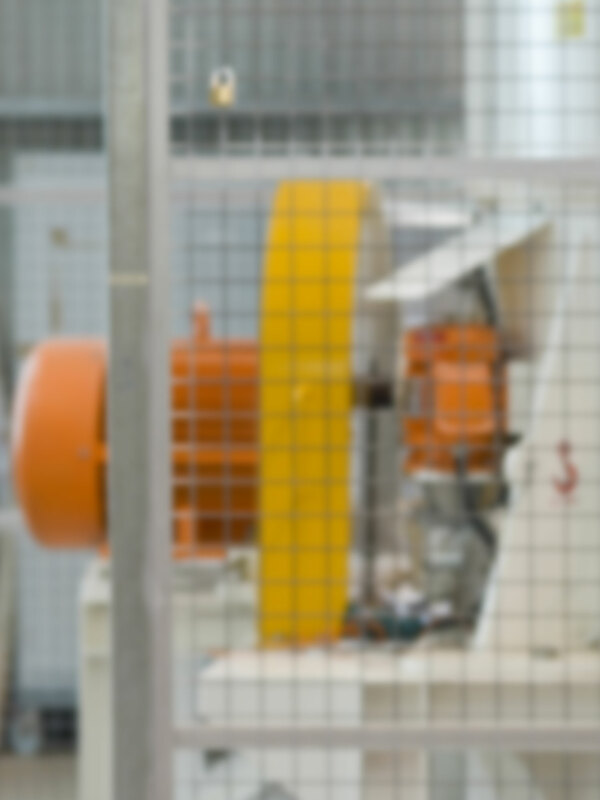 These provide a valuable tool for evaluating the performance of a separation process. However, for dense minerals, obtaining complete grade-recovery and density partition curves is more difficult due to the lack of heavy liquids available with the required densities. This paper examines a potential solution to this problem which is to perform batch fractionation of mineral samples in a laboratory-scale REFLUX¿ Classifier using high viscosity fluidising liquids. The REFLUX¿ Classifier is a gravity separation unit consisting of a system of parallel inclined channels positioned above a vertical fluidised bed. Operated in semi-batch mode, a charge of particles is fluidised from below and particles up to a certain density are elutriated from the top of the system. The fluidisation rate is then increased incrementally to fractionate the sample at progressively increasing densities. Previous work by Hunter et al. (2014) and Iveson et al. (2015) has shown that this method provides excellent agreement with yield-ash and partition curves for coal, especially when glycerol solutions are used as the fluidising liquid. This approach has now been extended to obtain the grade-recovery and density partition curves of high density mineral samples. This method has the potential to provide the minerals industry with an effective tool to evaluate the performance of unit operations separating at cut points higher than the available heavy liquids. Density-based separators have been used as a preferred method of concentrating minerals and upgrading coal for several centuries. However, significant technological advances continue to be developed and introduced into commercial practice. The main focus of development has been the improvement in separation efficiency over a larger particle size range and the ability to achieve effective density-based separations for particles as small as 10 microns. The success of enhanced gravity separators in the recovery of ultrafine particles has resulted in their implementation into grinding circuits in an effort to prevent overgrinding and reduce circulating loads while also reducing the consumption of the chemicals used in conventional recovery processes and circuits. A review of recent innovations in density-based separations is provided in this publication along with the impact on the strategies and circuits used to process a wide range of minerals and coal. Chemical engineering at the University of Newcastle has introduced a "Systems Thinking" approach in response to the changing needs of today&apos;s young engineers, particularly in relation to sustainable development and interaction with the wider community. The basic concepts are reinforced to the students in the form of case studies. The activities cover a broad range of traditional chemical engineering principles, including fluid mechanics, heat and mass transfer, process flowsheeting, and design. The case studies have the additional dimensions of life cycle modelling, environmental impact assessment, and direct interaction with the broader community. In this paper, two examples, involving Building Design and On-Site Water Management, are presented, including a brief description, desired learning outcomes, results and general observations. Generally, it was found that the case studies provided an excellent framework for establishing a systems approach to arriving at solutions, and acted as a focus for quantitative analysis using the various tools taught during the course. Most importantly, the material presented assisted students to understand the practices which contribute to the transition to a sustainable society. Because coal preparation is a key part of coal production, coal preparation plants need to be overdesigned to ensure a high level of confidence in plant throughputs being achieved. This paper describes computational methods for selecting overdesign factors for coal preparation plants on the basis of design data uncertainty and the degree of confidence required in plant performance. Two approaches to the determination of overdesign factors wre used and these were for i) a single overall factor and ii) separate overdesign factors for the coarse and fine sections of a plant. The paper discusses how calculated overdesign factors are affected by variability in parameters such as coarse coal yield, fine coal yield, ROM size distribution, amount of out-of-seam dilution and availability. The results also show how higher overdesign factors can be justified for the fine coal plant. 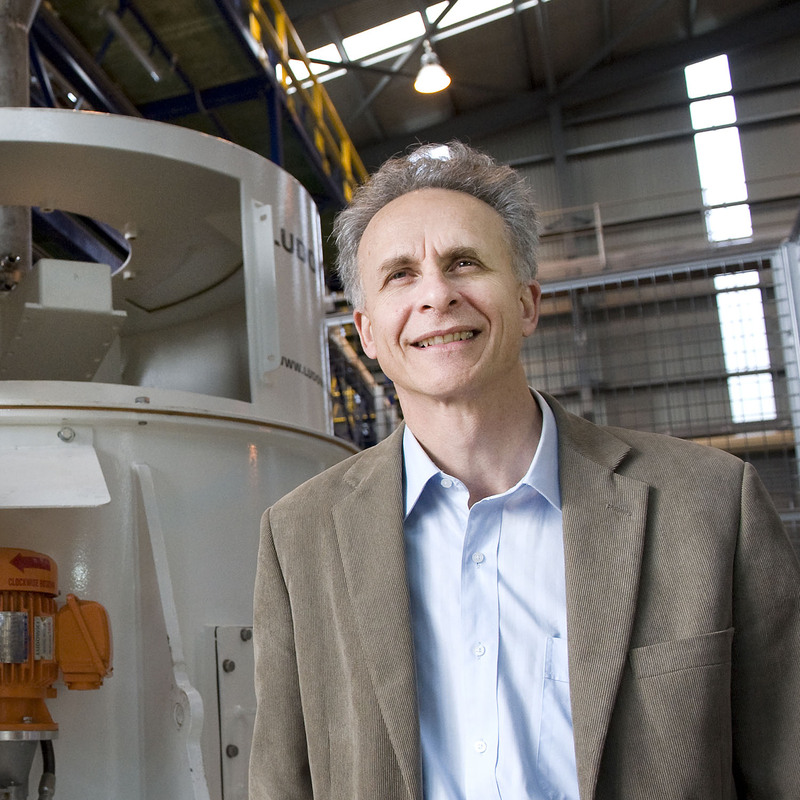 University of Newcastle Laureate Professor Kevin Galvin has been awarded the prestigious Antoine M. Gaudin Award, which recognises scientific or engineering contributions that further understanding of the technology of mineral processing. UON has attracted $1 million in funding to test a new technology that will boost efficiency across the minerals processing industry. The Australian Research Council has awarded UON $3.2m to establish a research hub dedicated to future-proofing Australia's iron ore production. The creator of the Reflux Classifier, Professor Kevin Galvin, has been crowned one of Australia’s top innovators with the 2014 Clunies Ross Award. 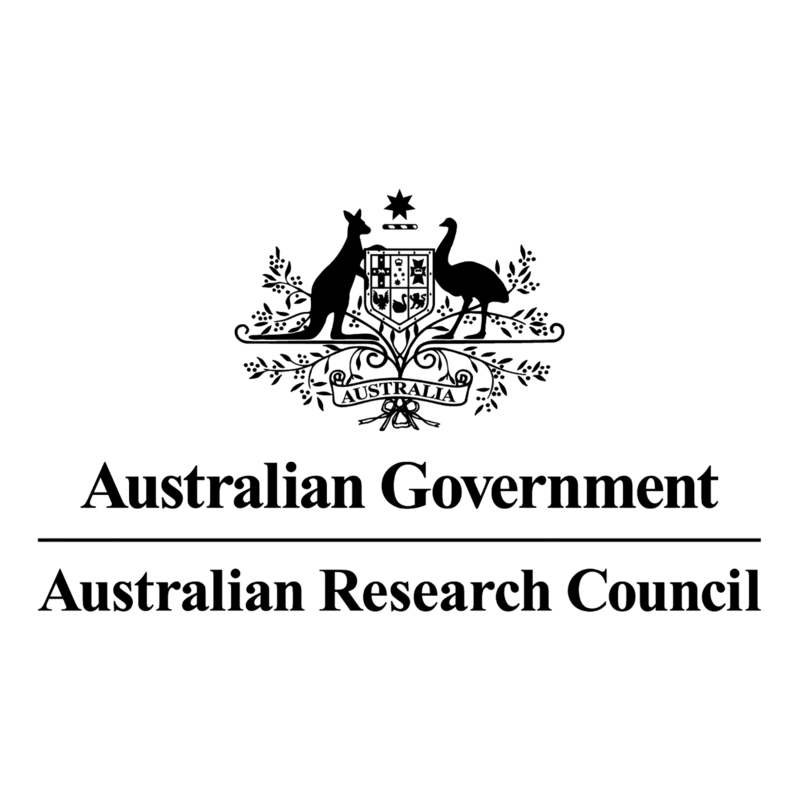 One of six University of Newcastle projects awarded highly prestigious Australian Research Council Linkage Project Grants worth a total of $1.8 million. 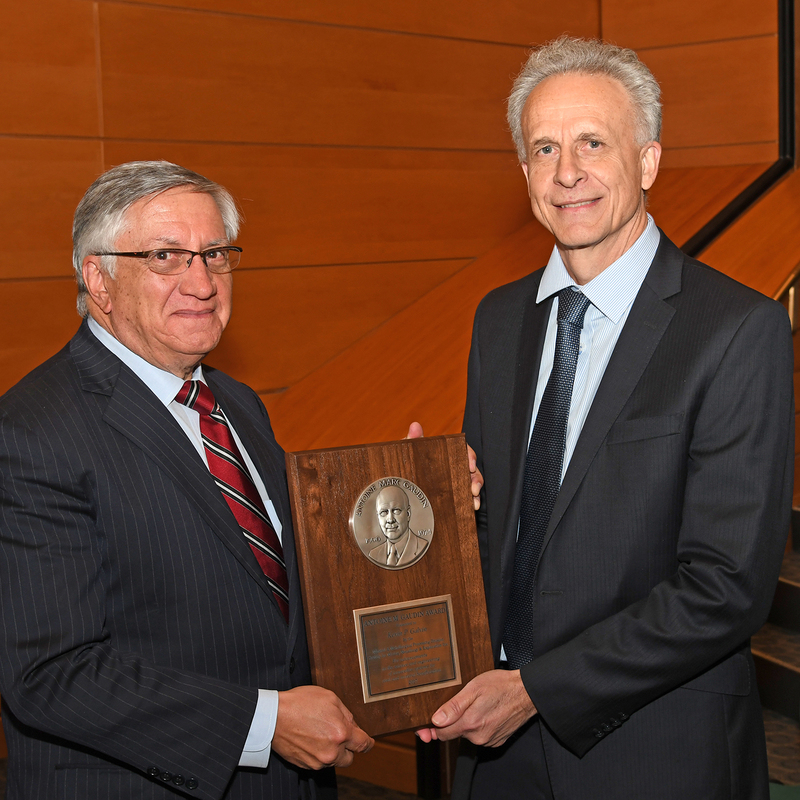 The Australian Academy of Science recently awarded the Ian Wark Medal to the University's Professor Kevin Galvin for his invention of the Reflux Classifier.